The Leaf is inconspicuous, versatile and highly effective; we enthusiastically recommended it. Thanks to the ubiquitous availability of streaming content like Netflix, for many of us, cable is fading into the rearview mirror like a bad vacation. However, for sports, local and public broadcasting, the modern cord-cutter is often forced to seek out a solution as old as the TV itself: the antenna. Unfortunately, outdoor antennas can be a pain, and in some areas, they’re simply not allowed. Even in an urban location, the rabbit ears many of us use force a comical ritual of shuffling and cursing while trying to find the sweet spot – and still, some channels just don’t make it. It’s the 21st century, folks, there must be a better solution. Actually, there is. 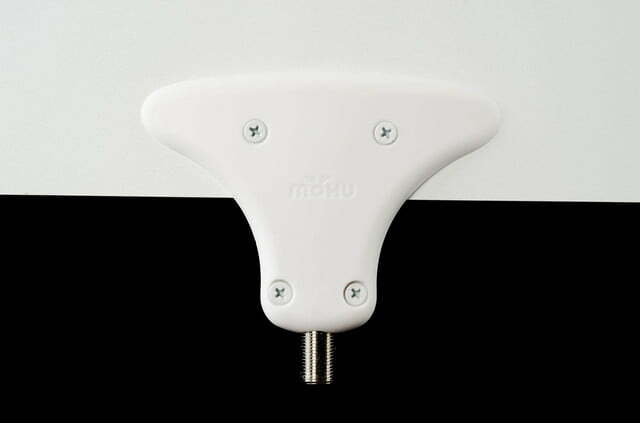 Enter MOHU and its Leaf indoor antenna. An ultra-slim strip of flexible plastic, the $40 Leaf can be inconspicuously hung on any wall, and promises top notch reception with no hassle. For those who live in the sticks, Mohu also offers the Jolt, a 15 dB signal amplifier to go with its paper-thin wunderkind. 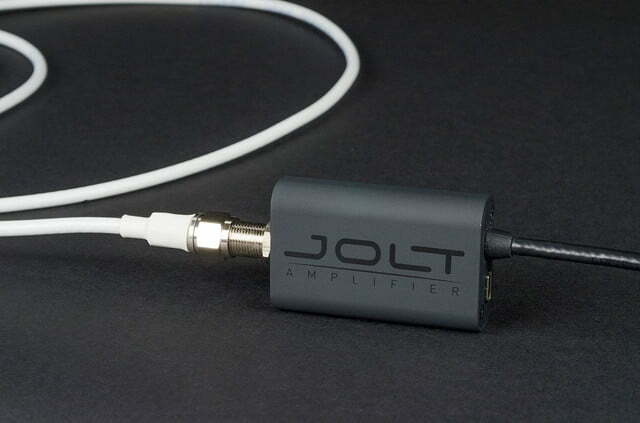 The Jolt is available on its own for $60 or in a package with a Leaf antenna for $80, which it calls the Leaf Ultimate. We wondered if the Leaf Ultimate really is the answer we’d been looking for, so we plugged it in and got to flipping. For some, setting up the Leaf antenna will be as simple as picking an out-of-sight location on a wall, driving some included pins through tiny holes at the top of the device, and connecting the antennas coax cable to their television. At that point, the Leaf can be covered up with a piece of art or some other wall hanging to obscure it from sight. Unfortunately for most of us, even the most magical indoor antenna can’t change the fact that broadcast TV signals tend to be fickle. There are certain building materials used in homes that do to TV signals what lead did to Superman’s X-ray vision. Very basically speaking, large sheets of metal and thick blocks of concrete are bad; windows and, to a lesser extent, exterior walls lined with sheetrock and maybe some sort of siding are better. 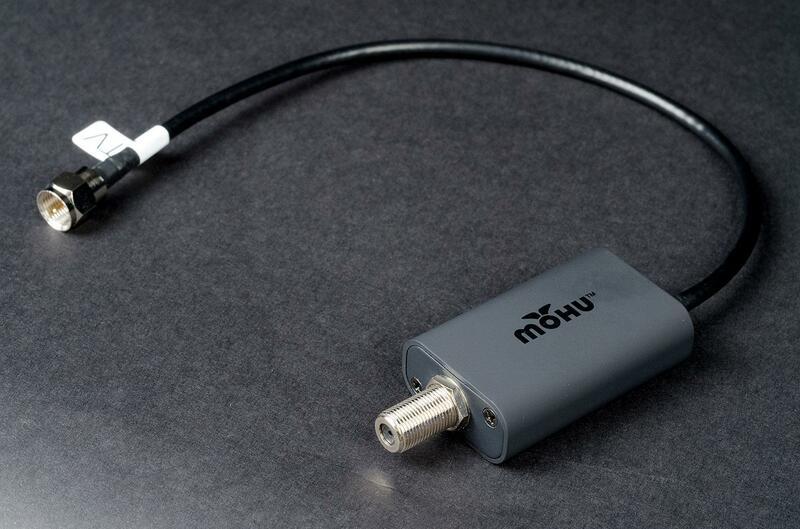 Once the antenna is placed, we recommend connecting it to your TV without the amplifier first. 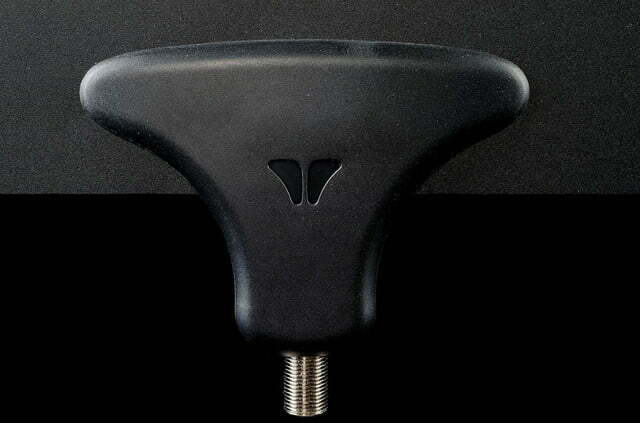 Also, placing an antenna on a wall or in a window facing toward broadcast towers is extremely helpful. To learn more about where the broadcast towers are in your area, you can visit Mohu’s website and enter your zip code, or visit antennaweb.org. 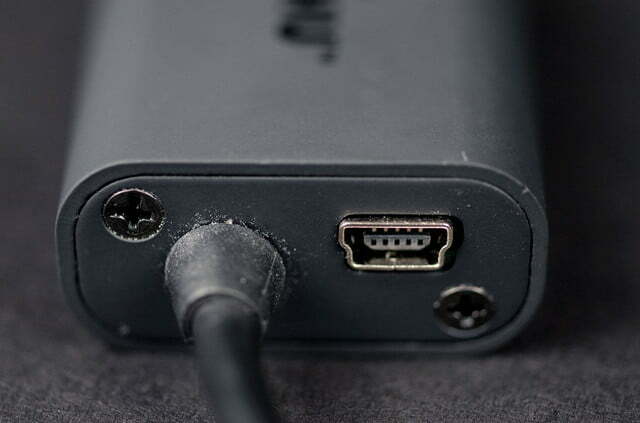 Once the antenna is placed, we recommend connecting it to your TV without the amplifier first. As we’ll discuss in the performance section below, an amplifier doesn’t always produce a good result. If you’re getting good signal strength already, amplifying that signal can cause signal distortion and actually make your reception worse. Try having your TV scan for channels first, play with antenna placement, and if signals still seem weak or inconsistent, try connecting the Jolt amplifier. 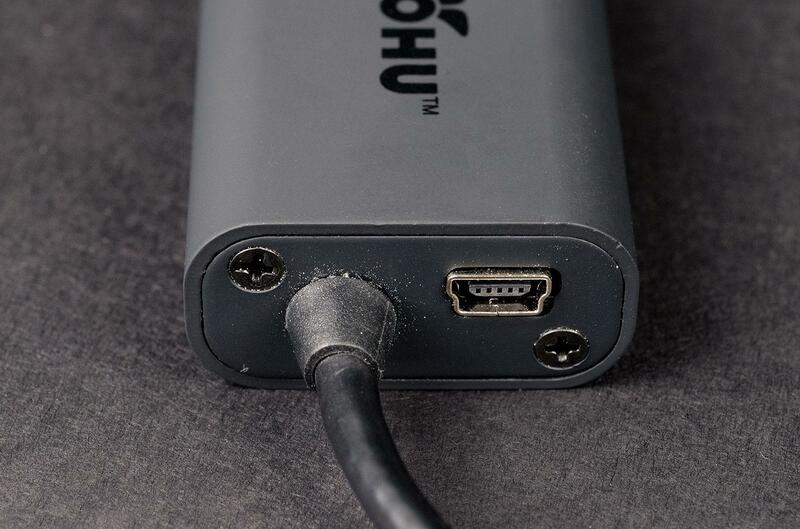 Mohu’s amplifier runs in-line with the Leaf’s coax cable and is powered by USB, either using an A/C wall adapter or a USB output on your TV. For our performance section, we broke off into three parties, testing the antenna both alone and with the supplied amplifier at separate locations around the fine city of Portland, OR. Our Southeast testing spot was in a locale five minutes from the heart of the city, with plenty of people, places, and things to cause signal disruption, but no monstrous towers of glass and steel or natural inhibitors like mountains. The results we experienced in this location using the antenna on its own were near miraculous. 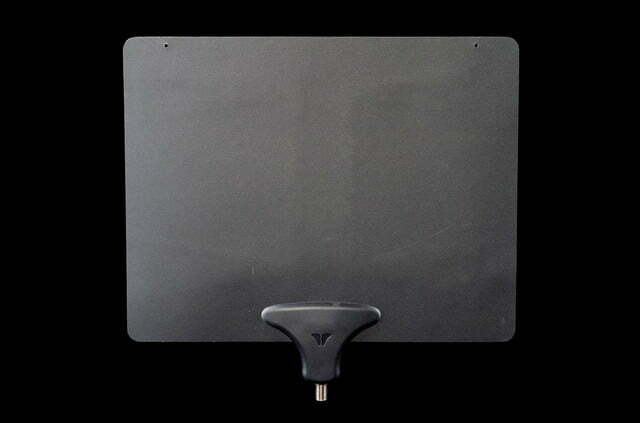 We not only got every channel the MOHU website listed as available for our zip code, but several more. Of course, zip codes include a large area, and it could be argued that MOHU shot low on its channel projection to temper our expectations. But even so, the antenna blew our previous device out of the water and offered a clean display of all digital channels in the area. By the numbers, the site projected 21 available channels, but we got 35. Moving the antenna to a side wall pulled slightly worse results. As for the signal amplifier: It isn’t designed for urban areas like ours, and we soon found out why. The device over-amplified the source, creating some signal distortion. In our location, the result with the amplifier in place was a loss or partial loss of seven channels. Our Southwest location presented a few challenges. First this location is positioned just two miles from (and well below) most of Portland’s broadcast towers, with plenty of surrounding foothills. Also, many of the location’s walls are concrete, leaving one window as the only suitable mounting location for the antenna; and it didn’t face the towers. 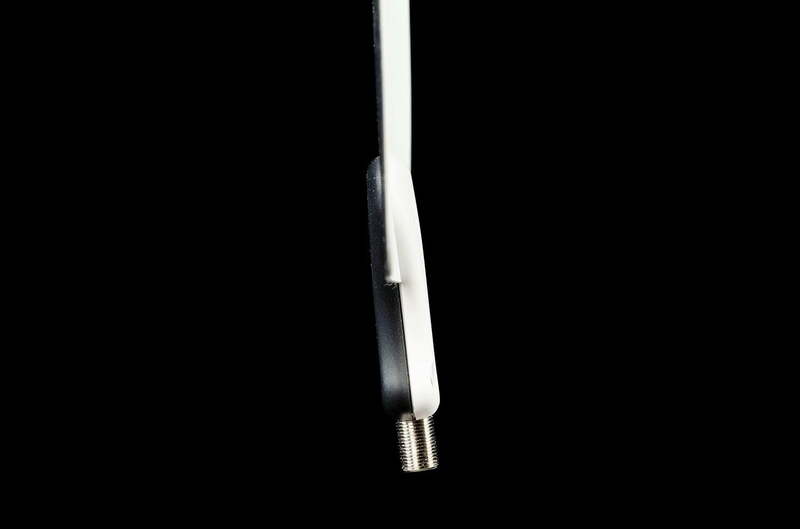 The results we experienced…using the antenna on its own were near miraculous. Still, the Leaf did a great job. Though it didn’t pull in any more channels than an older set of Philips rabbit-ear style antenna, the reception was much more stable. That, and the Leaf was much less of an eyesore. We were able to tuck the antenna away behind a window shade and pretty much forget all about it. Adding in the amplifier once again made matters worse. Only this time, one of the less stable stations disappeared entirely with the amp at work. This never did make sense to us, but the remaining channels were affected in the same way they were in our Southeast location. Again, it would appear urban areas really don’t need the help of the amplifier. Our third testing location is positioned eight miles (as the crow flies…and they often do) from Portland’s main cluster of broadcast towers. Here, we experienced different results depending on the weather patterns. Placed anywhere near our west-facing window, the Leaf was able to pull in 36 stations, including one analog broadcaster we thought was supposed to have given up its frequency to the FCC long ago. In less-than optimal areas of the house, the Leaf still managed to pull in a strong, stable signal, even better than a competing Terk antenna we purchased a few months ago, and far less conspicuous. At this point, we thought we knew what to expect by connecting the amplifier, but we did it anyway. It turned out that the amp didn’t cause us any problems at this location, save for one channel which seemed less stable than it had before. Though the amp is intended for those greater than 30 miles from signal sources and admittedly we didn’t need it, it didn’t seem to cause us problems at eight miles. The furthest we were able to get from our broadcast towers was in neighboring Vancouver, Washington – about 11 miles away. At this distance we still had no problem pulling in most of the stations we actually wanted to watch without use of the amplifier. Signal amplifiers aren’t magic. Among our friends, there seems to be this impression that an amplifier can take bad reception and make it better under any circumstance. This isn’t entirely true. There are cases where a signal is simply too weak or degraded to be amplified. The solution in these cases is usually going to be a different antenna position, and sometimes that may mean in an attic or outdoors. 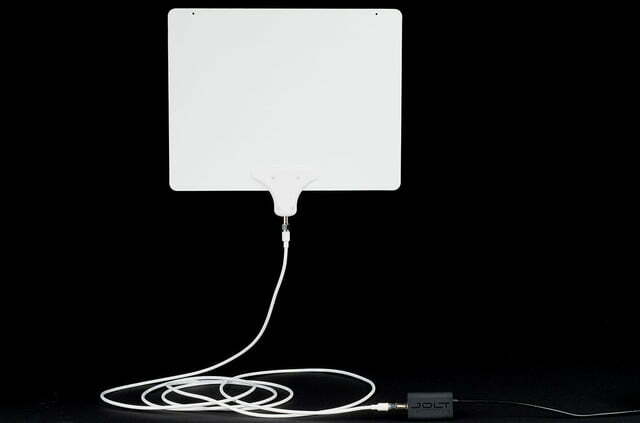 Mohu has antennas and amplifiers for those situations as well. 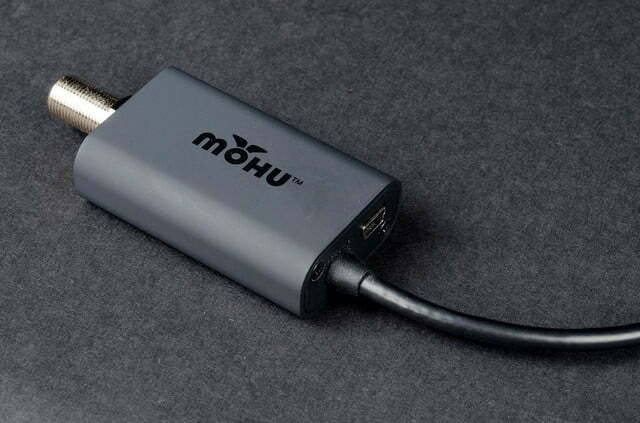 It took Mohu’s Leaf to revolutionize a technology as old as the television itself. It does so by not only looking better than just about any other antenna on the market, but also by performing extremely well. 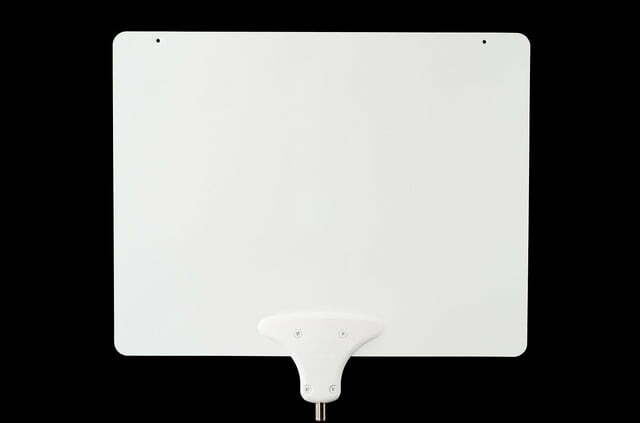 From a signal reception standpoint, the Mohu Leaf antenna is as good or better than any other HDTV antenna we’ve ever used. But from an aesthetic and installation standpoint, it is clearly superior. The Leaf is inconspicuous, versatile and highly effective; we enthusiastically recommended it. 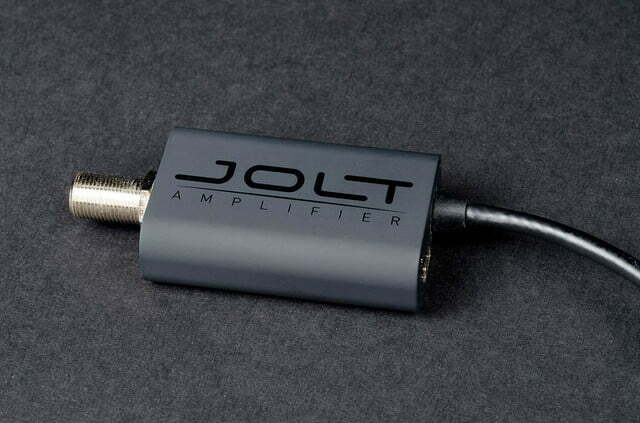 As for the Jolt amplifier and the Leaf Ultimate package: The amplifier really isn’t going to be necessary or helpful in close-in locations at or under 30 miles from broadcaster transmitters. But if you live outside that range, we can’t think of a better indoor antenna rig.